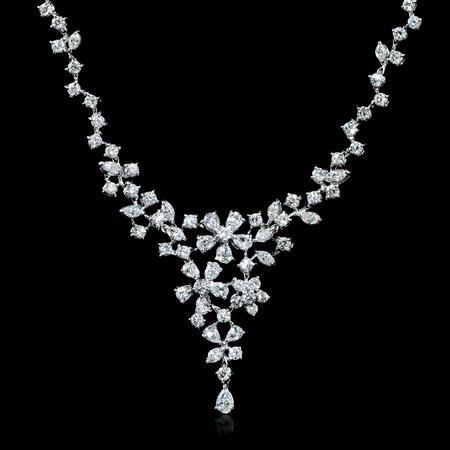 Diamond Details: 13 Pear cut, 20 marquise cut and 143 round brilliant cut white diamonds, of F color, VS2 clarity, of excellent cut and brilliance, weighing 8.02 carats total. 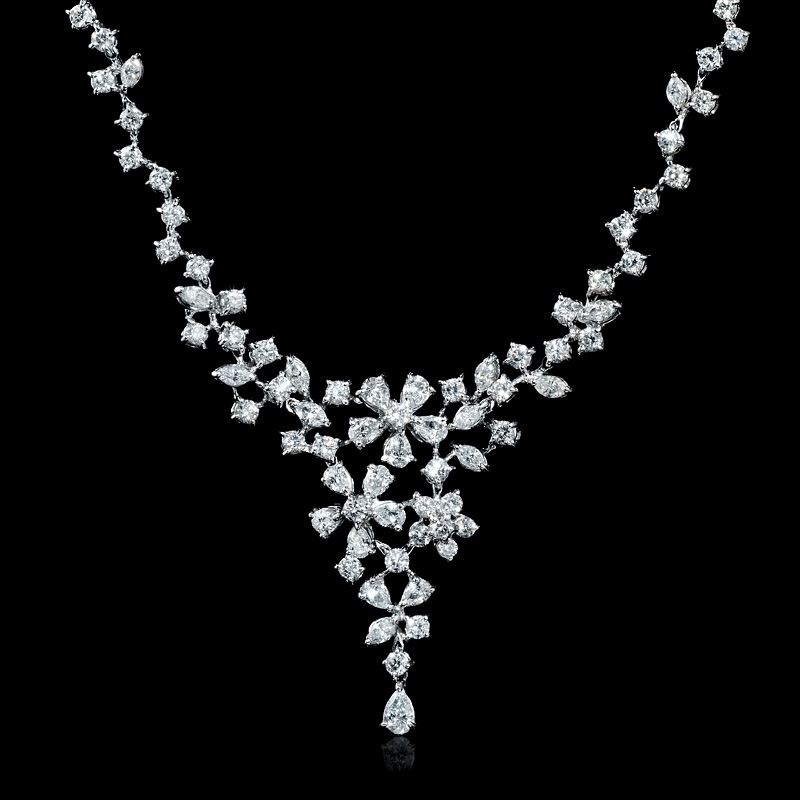 Necklace Details: 18k white gold flower drop design. Measurements: 17 Inches in length and the drop measures 1.75 inches in length. 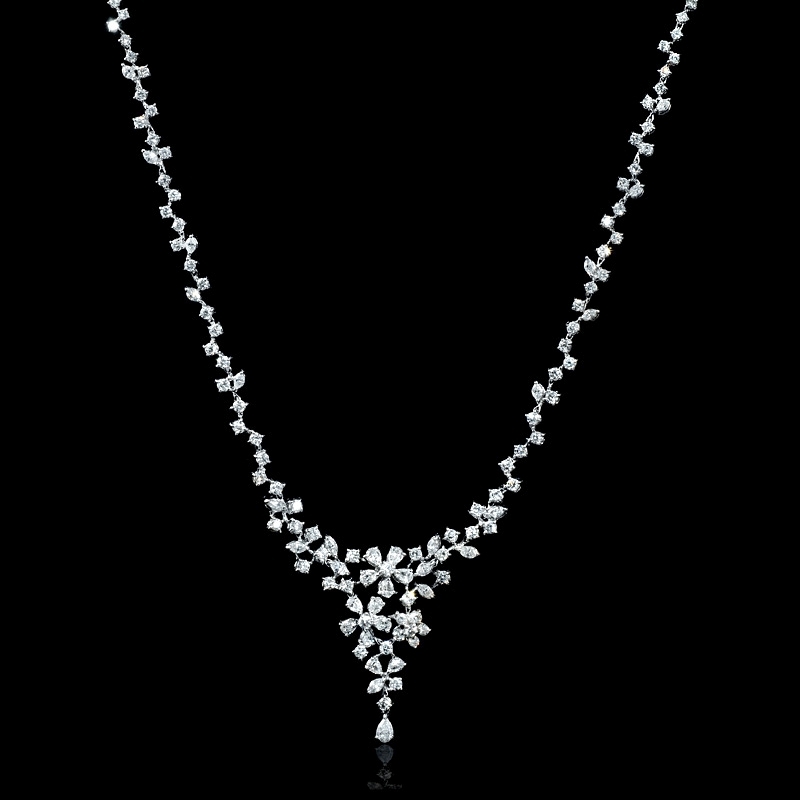 This delightful 18k white gold flower drop necklace, designed in Italy, contains 13 pear cut, 20 marquise cut and 143 round brilliant cut white diamonds of F color, VS2 clarity and excellent cut and brilliance weighing 8.02 carats total. A great gift idea! 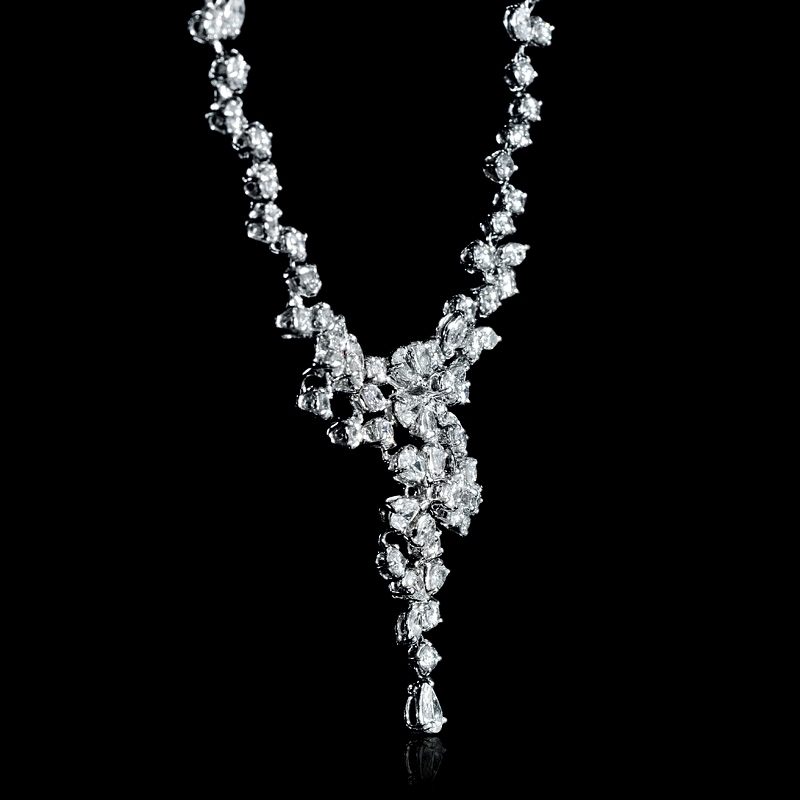 This diamond necklace measures 17 inches in length and the drop measures 1.75 inches in length.